Kruger National Park is home to the world's largest concentration of wild rhinos, and well as leopards, lions, elephants, and critically endangered species like cheetah and African painted dog. Kruger's climate and facilities make it the perfect safari destination for families, children and seniors. 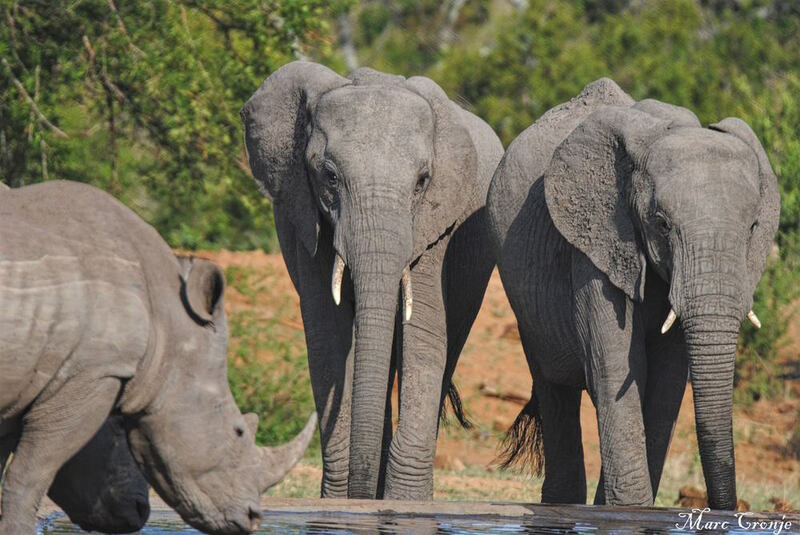 Kruger National Park is home to large elephant herds, as well as the greatest number of wild African rhinos in the world, Image: Marc Cronje, Independent Field Guide. 1. Rhinos & leopards! The planet’s largest wild concentration of both the big spotted cats and rhinos (black and white) live here! 2. African painted dogs. Not the biggest, but one of the world’s only populations of this endangered species. 3. Our Connection to Nature: Ancient rock paintings through out the area attest to the timeless connection between humans and wildlife. 4. Wrong turned right: When the Makeleke tribe won back their traditional land (confiscated by the park 30 years earlier), they decided both the tribe and the wildlife could benefit. Their 93 square mile (240 sq. km.) privately owned Makuleke Conservancy was born. Stay at their rest camps, see why the conservancy is called, “The Jewel of Northern Kruger." 5. Peace trumps walls: Together, three different nations each set aside their differences and their land to create one big peace park. With no boarders or barriers to stop them, wildlife (and wildlife tourists) can roam freely across the protected 14,500 square miles (37,572 sq. km.) that make-up the Great Limpopo Transfrontier Park. 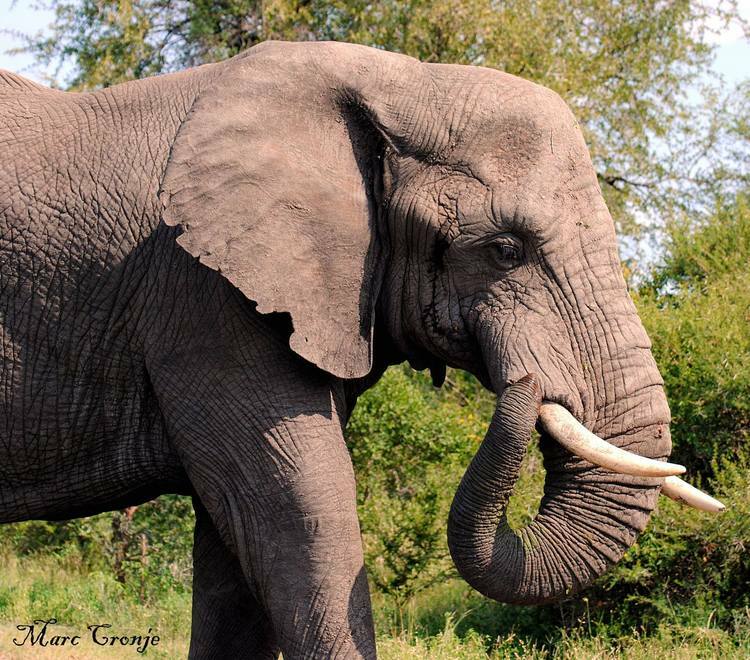 Elephants, like this big guy, can be found in all over Kruger, but they are especially concentrated in the north. Image: Marc Cronje, Independent Field Guide. So what is it about Kruger National Park, (besides good conservation work), that allows the largest numbers of wild rhinoceros on the planet, as well as substantial elephant herds, Africa’s three big cats species, rare antelopes, and about 10% of the world’s remaining African painted dog population to thrive? Bigger mammals constantly move through huge territories searching out food and water – regardless of the protected – or unprotected - state of those lands. 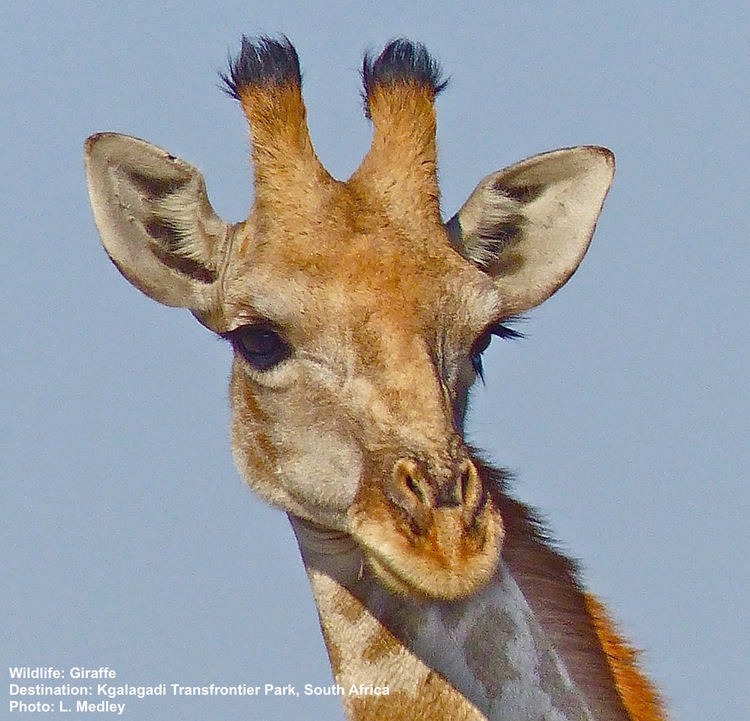 Kruger, South Africa’s largest wildlife park, spans over 7,511 protected square miles (19,455 sq.km.) and encompasses three different biomes (forest, grassland, and savanna), plus multiple different landscapes. Its unique ecology and geography is what gives species with characteristically wide ranges, such as African painted dogs, elephants, and so many others, the abundance of space and food they need. 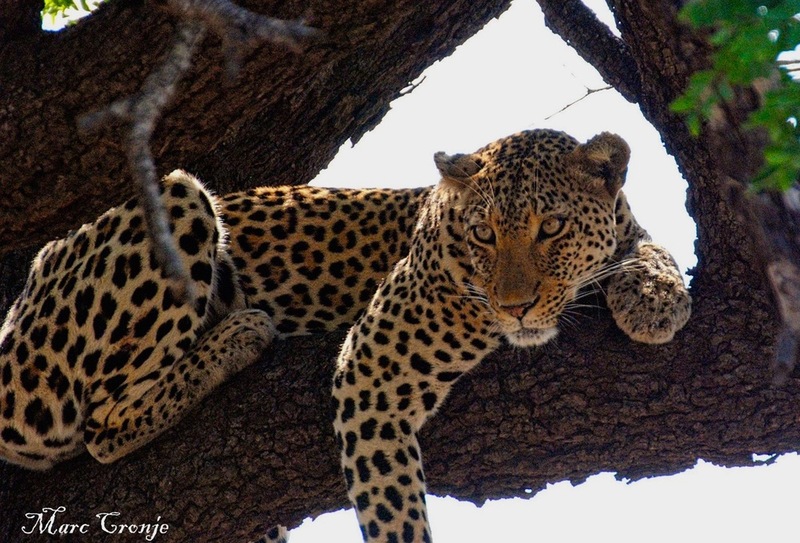 The connection of Kruger to the lands and conservancies of the Great Limpopo Transfrontier Park makes it even more valuable – and interesting for wildlife viewers. This is “Big Game” country! The central grassland is home to Kruger’s largest lion populations, as well as its greatest herds of zebra, buffalo, wildebeest and giraffe. There is good (big) birding here too. Look for resident Bateleur and martial eagles, vultures and the summer visitors, lesser spotted and Wahlberg’s eagles, thermal sailing the endless sky. A year-round supply of water and sweet grasslands, thanks to the presence of both the Sabie and Crocodile Rivers, makes for great any-time wildlife viewing. 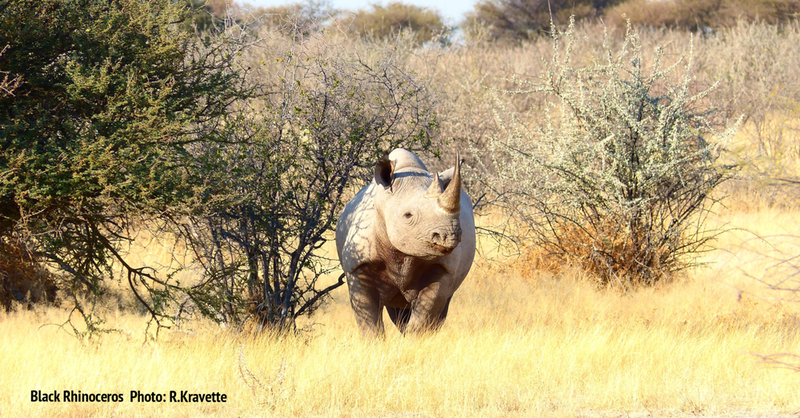 This is a white rhino favorite, in fact you may even see the entire big five here! This area is the preferred habitat of Kruger’s rarest antelopes including: sable, grey rhebok, and Lichtenstein’s hartebeest. African painted dogs also favor this, the most mountainous and rainy region, in Kruger. Olifants River is the accepted divide between Kruger’s North and South. Elephants are dominant here. The northern side of Engelhard dam is also one of Kruger’s prime birding areas. Use the Matambeni hide for a perfect view of the birds (storks, plovers, the rare black and other herons, bee-eaters, and endangered collared pratincole) as well as resident hippo herds, crocodile, and waterbuck. Oh yes, where there are waterbuck there tends to be lion, too. Keep your camera ready. The Sabie River bush, between Skukuza and lower the Sabie River, is leopard country! Look up in trees for leopards, on the ground for lions (and their prey), and everywhere in-between for birds! This is also a great area for viewing African painted dog, white rhino, Cape buffalo, elephant and - well, you get the idea! Elephant country! The area, which includes the flood plains of the Shingwedzi River and the mopaneveld (mopane woodlands), is famous for big tuskers. 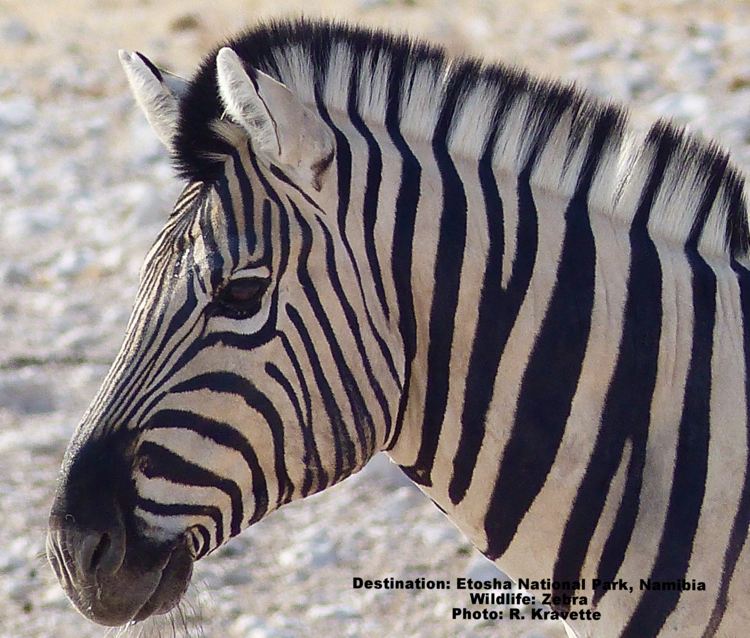 Stop at Leteba Elephant Hall, near the Leteba rest camp, to see the tusks of 6 of the famous Magnificent Seven. The North also offers some of the best birding in Kruger. Much of the far north is sandveld. Several million years ago, rampant, wild sand storms from the Kalahari Desert picked up sediment and dropped it here, creating the sandstone base that forms an eco-system unlike any other in Kruger. Visit the Pafuri area for the hot springs and do not miss Crook’s Corner, a place whose name aptly describes its colorful history. This is the favorite habitat of eland, the largest, gentlest, and most frequently depicted antelope in ancient rock drawings. Kruger celebrated its 90th birthday in May 2016, but its real history began in 1898. Paul Kruger, president of what was then the Transvaal region of South Africa, saw the impact that unchecked hunting by (mostly) Europeans was having, He set aside land between the Sabie and Crocodile Rivers to protect the wildlife. In 1927, with the ratification of South Africa’s National Parks Act, Sabie Game Reserve became the nucleus of today’s Kruger National Park. The park’s early period was turbulent and controversial. As recently as 1969, the Makuleke tribe’s traditional lands were confiscated for the reserve, and 1,500 tribe members were expelled. In 1996, the Makuleke won back the land rights, but decided that catering to wildlife tourism was more economically beneficial to the tribe than resettling there themselves. Their decision lead to the establishment of the Makuleke Conservancy, the “Jewel of Northern Kruger.” The whole tribe, benefits from the two luxury lodges, Parfuri and Outpost Camp, on their land. Today Kruger National Park is part of the Great Limpopo Transfrontier Park, spanning parts of three countries, South Africa, Zimbabwe, and Mozambique, eliminating fences and barriers to wildlife migration, creating a more natural and healthy range. Unfortunately, in an ironic twist, what is beneficial for wildlife (and wildlife tourists) can also be beneficial to poachers. Kruger supports and protects the largest wild rhinoceros population on the planet, but this concentration creates a magnet for organized poaching. In the first four months of 2016, 232 of the 363 rhinos killed on the entire continent, were taken in Kruger. 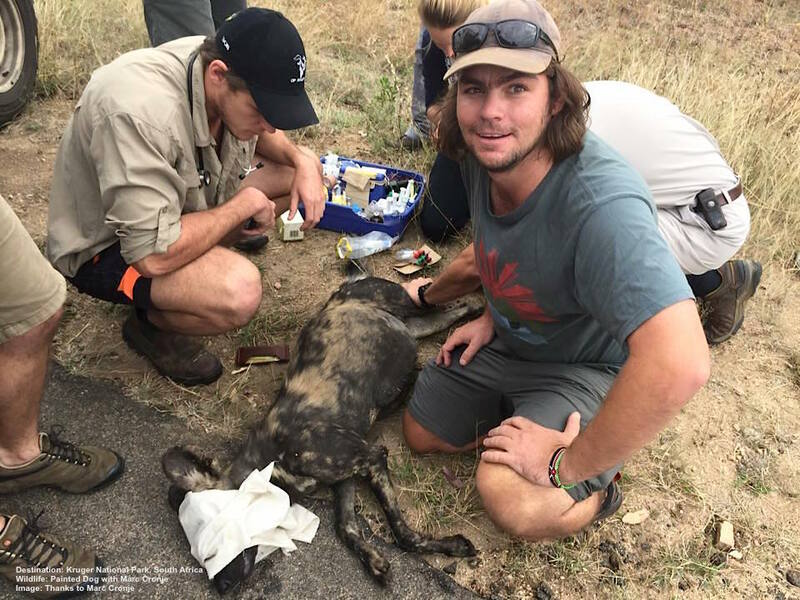 The “good” news is that those 232 rhino represented a reduction in the number of killed rhinos and an increase in the number of poachers caught in Kruger, over the previous year. Active use of helicopters, drones, and dogs, as well as highly trained rangers, is making a difference. So is the wildlife tourism that benefits local communities, Kruger National Park, the Transfrontier Park, and the numerous surrounding unfenced private reserves that make up a healthy and secure habitat. Cats: Lion, cheetah, leopard, caracal, and serval. Really big mammals: savannah elephant, black and white rhinoceros, Cape buffalo, hippopotamus, zebra, and Southern African giraffe. Also, African painted dog, black backed jackals, and spotted hyenas. Ungulates and antelopes: blue wildebeest, kudu, impala, sable, nyla, bushbuck, and the delicate little steenbok. Small and not-to-be over-looked: Rock dassie, mongoose, and honey badger (renowned as the baddest of the bad). And the odd and unusual: Aardwolf, aardvark, pangolin, and stripped polecat (which is not a cat at all, but related to the weasel). Even a non-birder could spend all five days just looking at birds, including: grey lourie (the “go-away bird”), martial and Bateleur eagles, yellow-billed and ground hornbills, and white backed vultures. Don’t forget these little jewels: rollers – 5 different species - plus blue waxbill, Burchell’s coucal, and crested barbet. And the water birds: black heron, green backed heron, yellow-billed stork, hammerkop, saddleback stork, plovers, and Egyptian goose. Take some time to explore cultures from ancient to merely "old." Archeologists have found evidence pointing to pre-history settlements in many areas of Kruger National Park. Thulamela: The "Place of Giving Birth"
Here find the foundation of a fortress overlooking the Luvuhu River. This was the capitol of an #3 Iron Age Kingdom thriving between 1200 AD and 1640 AD called Thulamela, which means, "the place of giving birth" in the Venda language. Be sure to see the baobab trees estimated to be over 4,000 years old. A restored iron-age manufacturing village and museum, near the Phalaborwa gate. Get a real insight into the technology and life of a Stone Age and iron-age hunter-gatherer society. The people of this village smelted and forged metal objects specifically for trade. The San people carved into the stone then gave their drawings color using plant saps, eland blood, egg whites, and fat. Radiocarbon dating has placed some examples between 1,500 and 3,000 years old. Find rock paintings in 12 locations, mostly in the southern tip of the park. Take a rock-painting walking tour from the Berg-en-dal Camp near the Malelane Gate. Remember wildlife is wild. Respect and common sense are always the best policy. When driving in the park, stay in your car at all times, unless at specifically designated areas or when a professional tells you it is safe. If on a walking safari or hike, go with a professional guide. Follow all park instructions for camping, picnicking, and hiking. And never feed, leave food, or entice wildlife to come closer. Following a few simple rules keeps you from becoming a lunch opportunity for big predators. And keeps the animals safe as well. When self-driving, be considerate of others. Take and give turns at the best spots. Do not block roadways. Kruger National Park is a great all year destination, but winter (May through September) usually has the most comfortable weather. This is considered the best time for game viewing and walking safaris. The brush is the less dense; the animals are very active around the remaining water holes. It will be hot and humid. June through August usually have the most temperate weather, warm and less humid during the day, cooler at night, and the fewest mosquitoes. Kruger is at its most lush during this period. Many of the animals give birth at this time, making for considerable predator activity. Are you a bird watcher? This is migration time and your best season for bird watching at Kruger. Kruger offers lodging that ranges from bring-your-own-equipment campgrounds to luxury full service lodges as well cottages and guesthouses, safari tented camps, bungalows, and huts with communal kitchens. They can accommodate single travelers, multigenerational families, or groups. Arrange your visit so that you can spend time in more than one section of the park. Each section has a selection of lodging choices. There are 11 official languages spoken in South Africa, however English is common, especially in the cities and national parks. As of this writing, nationals of many countries, including the United States and Canada, do not need an entry Visa if they are tourists staying for less than 90 days. However, it is always best to check with the South African consulate prior to finalizing your travel plans. As of June 1, 2015, new regulations went into effect regarding children entering or leaving South Africa. Please review the advisory and check with the state department in your home country prior to finalizing travel plans. Hepatitis B: To be considered by some travelers. Typhoid: Recommended for most travelers. Malaria: You will encounter mosquitoes in Kruger National Park. Although the risk is usually low, the park is a recognized malaria risk zone. Contact your doctor for the best course of action for you. Notes on Mosquitos: Mosquitos carry a range of diseases. Bring and use mosquito repellant and long-sleeved and long-legged clothing to use, especially early in the day and at dusk when mosquitoes are most active. Before you go to South Africa, research special mosquito and sun protective clothing. Enjoy your Kruger National Park adventures. We'd love to hear about them and so would others. Send us your stories and photos and we will publish them as possible. Marc Cronje, Independent Field Guide For his help, enthusiasm and use of his wonderful images, all shot in Kruger National Park, South Africa. Follow Marc on Facebook. 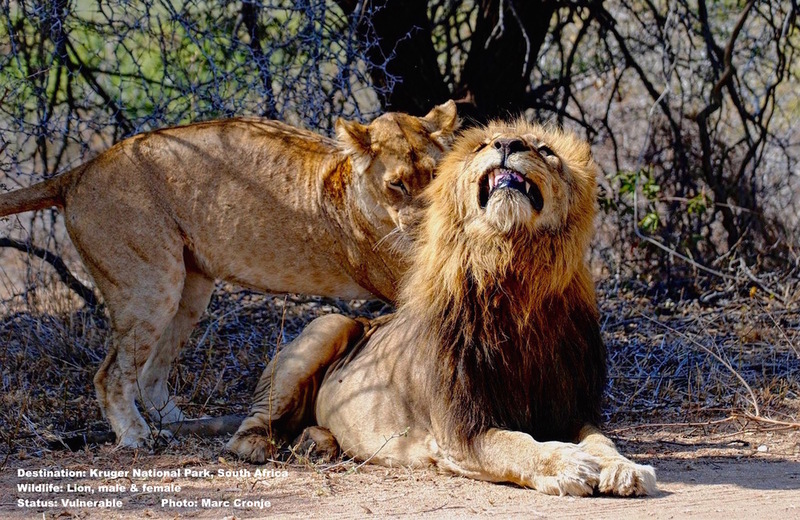 Go to South Africa's Kruger National Park and see the big cats for yourself. Marc captured the image of this beautiful leopard "three clicks past Lubye Lubye" Image: MArc Cronje Thanks Marc!